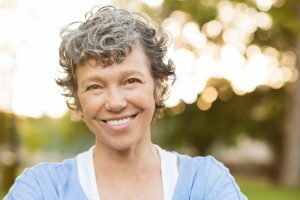 Are You a Candidate for Dental Implants in Bowling Green? Partner with your dentist Bowling Green to keep your smile beautiful and functioning well for life. If tooth loss happens through oral injury, decay or periodontal disease, Dr. Derik E. Utz offers the premiere tooth replacement option: dental implants in Bowling Green. These artificial teeth appear, function and feel like natural teeth. Many people are candidates for this outstanding procedure. Comments Off on Are You a Candidate for Dental Implants in Bowling Green? Dr. Derik E. Utz teach patients about tooth decay in his Bowling Green dental practice. Learn how a cavity develops and what you can do to prevent or this all too common oral health issue. What’s the best way to prevent gum disease? 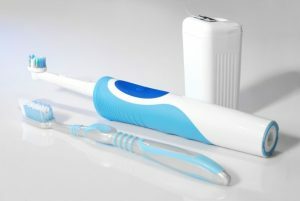 At-home brushing and flossing is the first line of defense. But, if periodontal disease has already taken hold, Dr. Derek E. Utz, Bowling Green dentist, can help you win over this serious oral health issue. 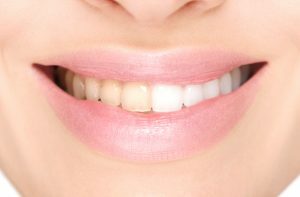 Am I A Candidate for Cosmetic Dental Bonding? Dental bonding has quickly risen in popularity as an easy and effective form of cosmetic dentistry to alter the appearance of the teeth. Often used as an alternative to veneers, dental bonding allows you to fix chipped and cracked teeth, while also closing small gaps between the teeth. In some cases, dental bonding is also used as an alternative to traditional silver fillings as the material used is tooth-colored for a natural-looking repair. The versatile uses for the bonding material make it an ideal solution for those who have minor tooth flaws or for those on a budget. However, dental bonding in Bowling Green may not be right for everyone. As your Bowling Green dentist, we have everything you need to know about dental bonding. Comments Off on Am I A Candidate for Cosmetic Dental Bonding? This year, the Oral Cancer Foundation estimates that more than 48,000 people in the United States will be diagnosed with oral or pharyngeal (throat) cancer. Oral cancer will be to blame for more than 9,500 deaths, and the death rate for this cancer is greater than that for cervical cancer, Hodgkin’s lymphoma, and endocrine system cancers such as thyroid cancer. Unfortunately, oral cancer is often fatal not because it is hard to diagnose, but because it is diagnosed too late. That’s why Dr. Utz and his staff make a point of conducting an oral cancer screening for Bowling Green patients at each one of their regularly scheduled checkups. Dentists have been recommending twice-annual dental checkups and cleanings for decades as a way to keep a healthy smile and prevent tooth loss. But come on, let’s be honest — is it really all that necessary to see the dentist every six months? Seems like a lot, right? We’ve got the answer right here. It really is all that necessary. In fact, visiting the dentist twice each year is the number one way to prevent gum disease and associated tooth loss. Adults who have even one of the risk factors related to gum disease should certainly maintain their twice-annual dental routine (on top of good oral hygiene habits at home). Keep reading to find out more about these preventive visits from your Bowling Green dentist, Dr. Utz. 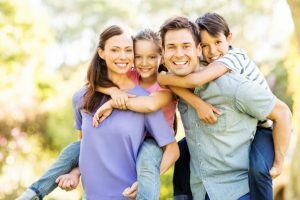 Derik E. Utz DDS, LLC offers comprehensive preventative and restorative dentistry to help you achieve a beautiful smile. As a leading Bowling Green dentist, he provides effective professional teeth whitening services to instantly brighten your smile. Unlike over-the-counter home treatment products, those offered by Dr. Utz will give you the results you want. If you’re in need of teeth whitening treatments in Bowling Green, Dr. Utz offers a number of solutions to meet your needs. The phrase root canal sends many dental patients running for the door. 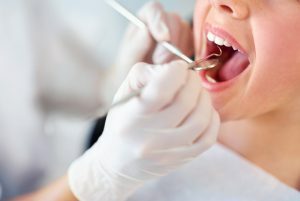 Over the years root canal therapy, covered by the dental specialty endodontics (endo=inside, odont=tooth), has earned a reputation for being extremely painful. At Dr. Erik E. Utz’s Bowling Green dental practice, we want to set your mind at ease. Root canal therapy actually relieves the pain associated with infected dental pulp. Root canal therapy itself is relatively painless, and patients need very little, if any, time to recover following successful treatment. Typically completed in one to two visits, root canals restore smiles and protect natural dental structure. What are your New Year’s resolutions for 2016? Exercise more, eat less? Your dentist in Bowling Green has some ideas for a healthier year — focus on your oral health and you’ll watch your overall wellbeing improve. We often forget about the connection, but how we care for our mouths can really impact our bodies. Keep reading to learn more about the link, and then take some of Dr. Utz’s New Year’s resolutions suggestions! © Copyright 2014, Derik E. Utz, DDS, LLC | Site designed and maintained by TNT Dental.